Today, one day from my actual 28th birthday (my birthday is on 9th Nov), I had the best Birthday Celebration ever! Thanks to my other half, my best friend and few of my good friends, my turning 28 celebrations is something I will remember throughout my life. After so many years of BBQ Birthday party, family dinner and cake cutting birthday celebrations, I wanted to do something different this year. Something that makes me appreciate more on what I have for the last 28 years. 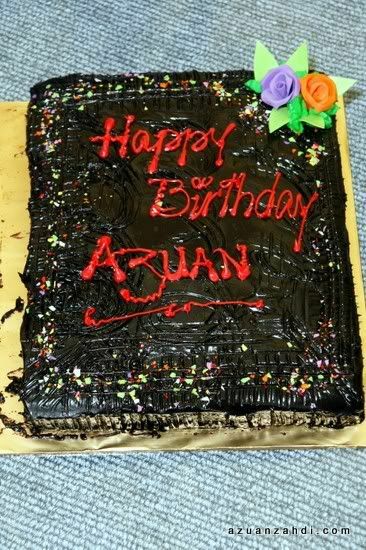 “Azuan’s Birthday Celebration and Fun Time with less-fortunate Kids”. It was not a high-profile charity event. NO big names. NO Vips (except for the Kidsof course). NO News Coverage. NO Glamour. NO Big Time Sponsors. Just effort from the heart. . It makes so much sense. 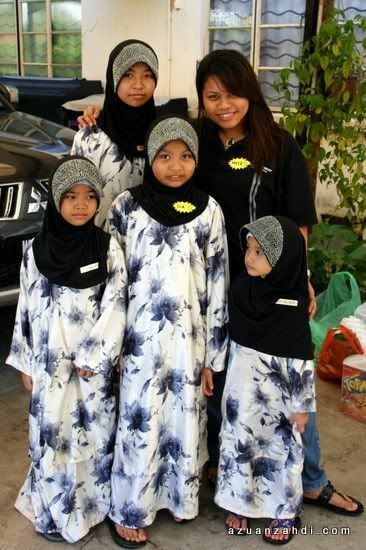 I love children, I love helping less-fortunate children, I love conducting fun kid’s activities. And what more can I ask for then having to do something fun alongside my other half and my good friends. Preparations were made by my other half and my best friend and within days we have managed to secure a place to visit and conduct my birthday celebration. Here are some photos of the great birthday celebration! At 9:15am, we arrived at the orphanage, a small privately run house registered with the authorities which houses 13 orphans from different ages. Last minute-preparation while waiting for the rest to arrive. The guest list. 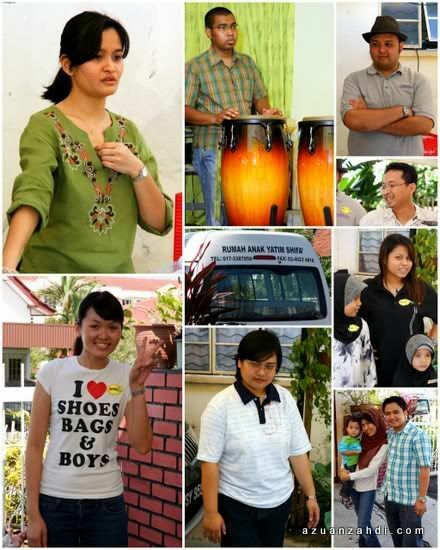 The Abang-Abang and Kakak-Kakak for the event! These are my friends (and my wife) who sacrificed their Sunday morning to celebrate my birthday with these less-fortunate kids. I salute them for their time and effort. 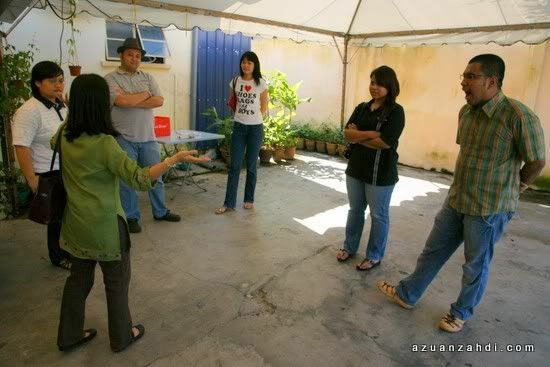 Jiji briefing everyone on the event flow. At 10am we were introduced to the kids. At this point, they were all very reserved and quiet as they were not familiar with any of us. Slowly they started to smile and be more comfortable with us. 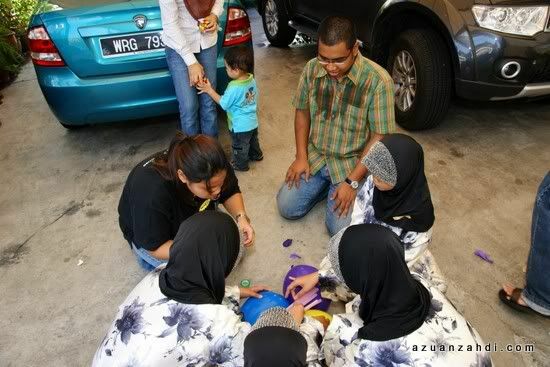 Jiji and Ayu dividing the kids to 3 different groups. The 1st Game – Blindfold Walk, a game of trust, where group members have to guide the blindfolded members to walk across a path surrounded by ‘explosives and mines’. 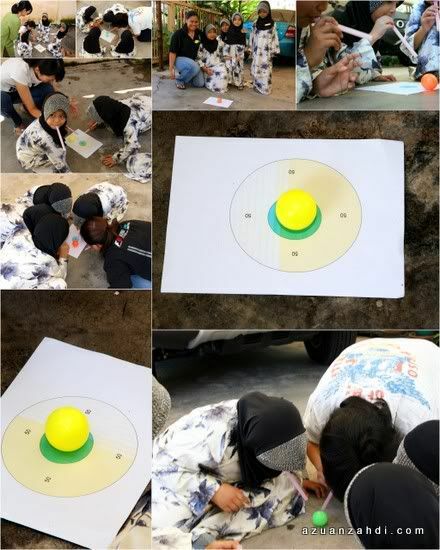 The 2nd Game – Hit the Bulls Eye, a game of teamwork and planning with the objective of putting the plastic ball on the bull’s eye by blowing through the giant straw. It was easier said than done but all three groups managed to hit the bull’s eye. 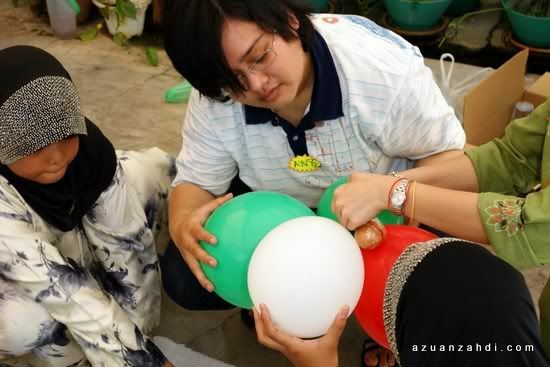 The 3rd Game – Egg Drop. A classic problem solving with the task of building an egg package that can sustain a 2 foot drop. Makan-time, we ordered Dominoes Pizza. For some of the kids, it was their first time eating Dominoes so we ordered 12 regular pizzas with different toppings. No Birthday celebration is complete without a Birthday Cake! After 4 hours, we left the house feeling happy and satisfied. No money can buy the sense of satisfaction in each of us seeing the kids smiled and laughed throughout the morning. I’m glad that I spent money to do all this rather than a normal BBQ celebration we always had at home. Not that I’m now all noble and 100% charity oriented, but it feels damn good to once in a while stop thinking about myself and start to feel thankful of what I have everyday in my life. And being with these kids help me to realize how lucky I am. And that’s the best birthday gift that I can ask for 🙂 Happy Birthday Me! 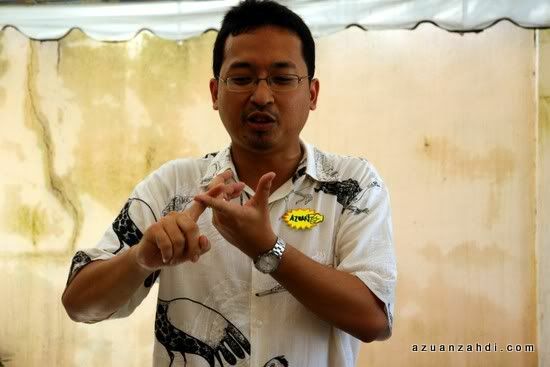 happy bday abg azuan rock! 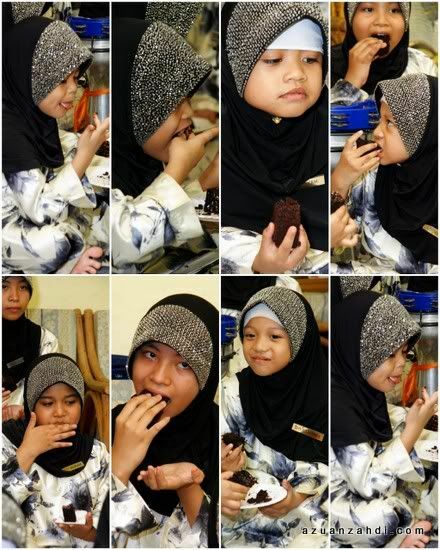 Most people would only go to a rumah amal because they have to or for an event, but instead, you celebrated your birthday with those kids! You are truly a noble and kind person. 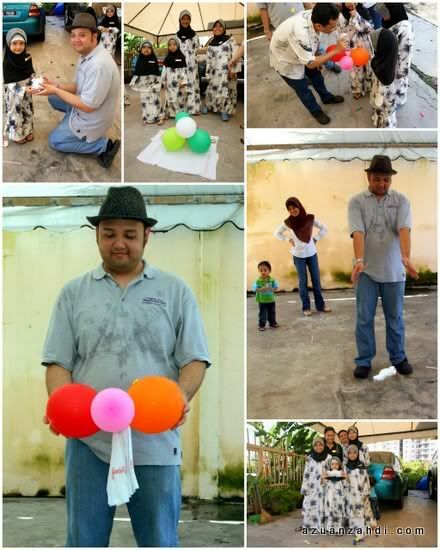 p/s: whats the moral of the ‘drop the egg’ game? always protect your package, is it? Wow… nice photos. and Happy Birthday! happy birthday Azuan! May God bless you. You are one great guy! So thank you and i’ll be back tomorrow again to comment on your visit to the orphanage! 😛 G’night! Lorraine: That’s one long comment 🙂 Long enough for my spam filter to stop it and wait for my approval hahaha Thanks anyway! What you’re doing here remind me of the Causes app on Facebook that asks people to ‘donate’ their Birthday by using their Status to ask friends to join/donate to that Cause. Thanks for the birthday wishes! I had a blast indeed…. 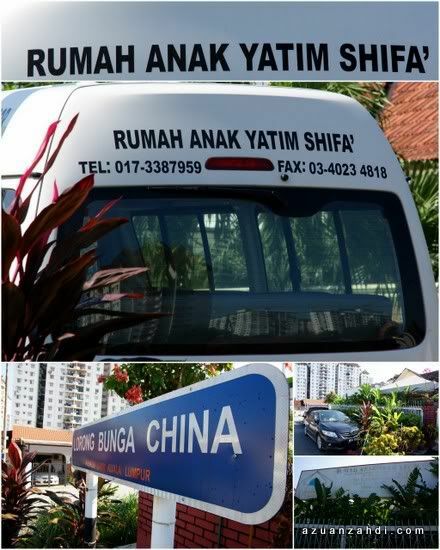 Very the touching laa bro…respect…respect! I was searching for party ideas to celebrate my kid’s birthday and read ur story. Many many thanks . This is the best party idea I have ever seen. will celebrate it for my kid the same way.